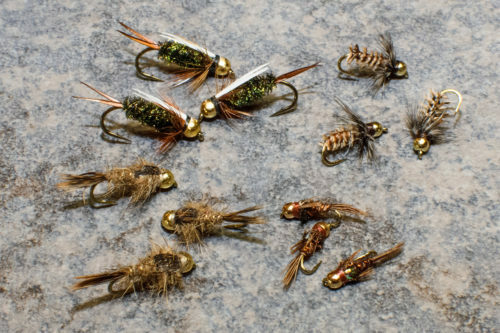 We are excited to announce two new flies have been added to Tailwater Junkie’s arsenal of proven flies. Amy’s Ant and Split Case nymphs (blue winged olive & pale morning dun) will be available immediately. Please see below for a brief description and fishing strategy for each pattern! Amy’s Ant was created by Jack Dennis of Jackson, Wyoming. 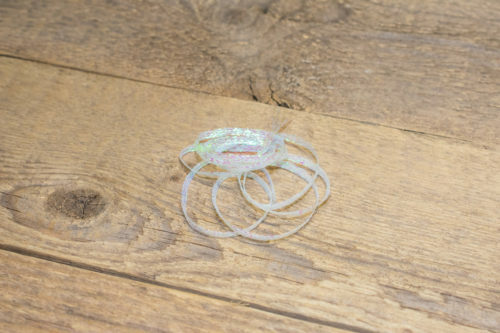 This adult stonefly imitation has quickly become many anglers’ favorite dry fly as it continually fools selective trout under a wide range of conditions. 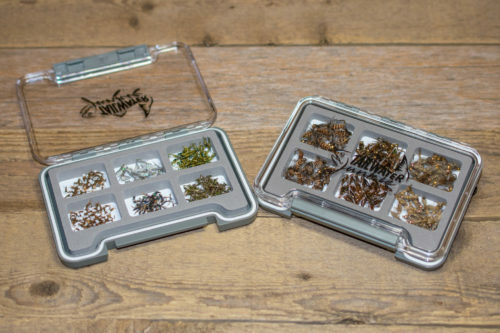 Amy’s Ant has taken Western tailwaters by storm, so make sure you don’t leave home without a few! Amy’s Ant fishes best June through September. To increase success rates, methodically cover water and show your fly to the most fish as possible. We typically dead-drift Amy’s Ant most of the time but don’t be afraid to use it as an indicator and in a dry-dropper rig. This will allow you to cover a wider assortment of water. We generally use a 9-foot leader terminating in 4X. 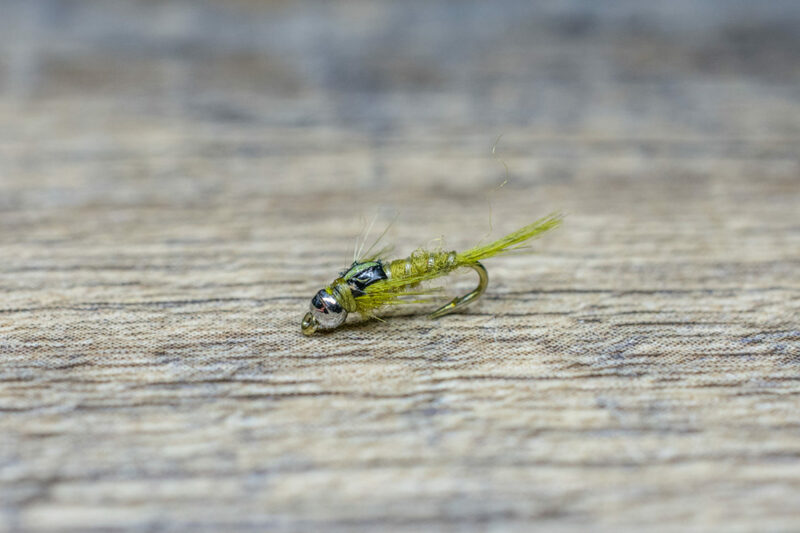 Joe Mitchell’s Split Case blue winged olive (BWO) is a great choice for imitating emerging Baetis nymphs. 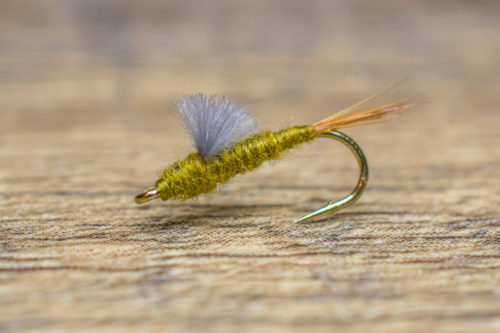 The Split Case BWO has a sparse, segmented body leading up to its hotspot wing case. The “hotspot” wing case acts like a trigger to fool some of the most selective trout around. Baetis nymph imitations work year-round however, their greatest importance is just before and during spring and fall hatches. 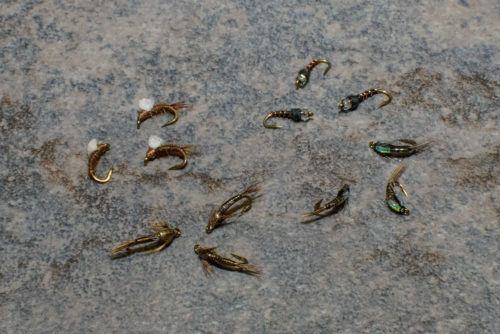 Some of the best fishing of the year occurs with tiny Baetis nymphs. 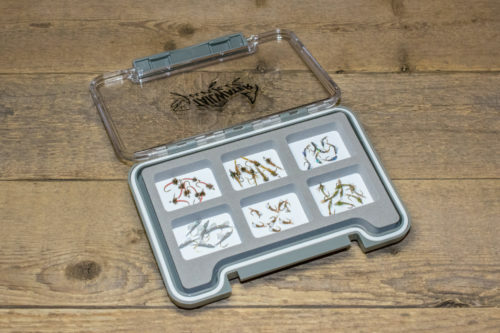 We suggest carrying both standard and tungsten versions of Mitchell’s Spilt Case BWO in sizes 20-22. We fish both versions as an attractor in a two-fly nymphing rig. The tungsten Split Case BWO works especially well in a dry-dropper setup. The olive “hot spot” on the fly along with the tungsten bead makes this fly deadly during the early stages of a blue-winged olive emergence. 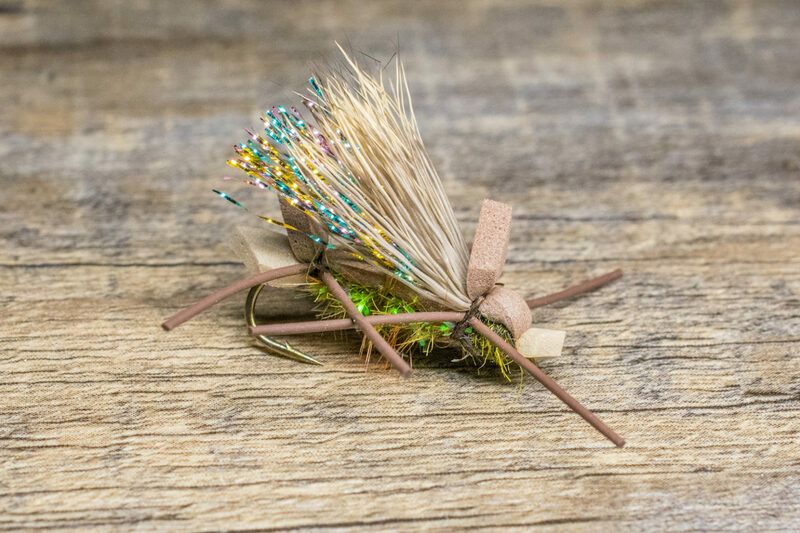 Tie one on and you will quickly see why the Split Case BWO has become one of our go-to patterns for selective tailwater trout chowing down on tiny Baetis nymphs. The best time to fish a Mitchell’s Split Case PMD is June and July. We typically carry both standard and tungsten versions in sizes 16-18. 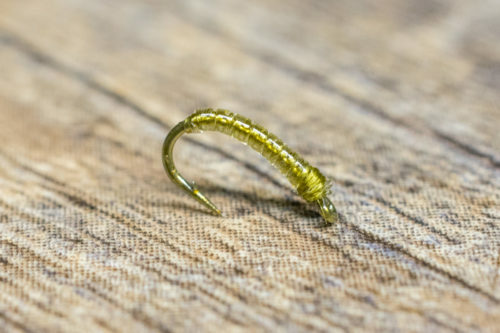 You can fish this pattern as both as an attractor and dropper in a tandem nymphing setup. Don’t hesitate to use the Tungsten Split Case PMD in a dry-dropper rig as the additional weight, makes all the difference in getting the little mayfly down in the water column.